Erskine Bowles and Alan Simpson, who co-chaired the president's bipartisan debt reduction commission, said the fiscal cliff deal is "truly a missed opportunity to do something big to reduce our long term fiscal problems." For the near term? Good. For the long term? Oh, puh-leeze. That, in a nutshell, summarizes how independent deficit hawks view the fiscal cliff compromise that Congress passed on Tuesday and which President Obama signed into law Wednesday. On the bright side, the American Taxpayer Relief Act of 2012 largely averts the economic pain of the scheduled tax hikes and spending cuts in 2013. "That reduced the probability of a recession quite a bit," said Rudolph Penner, former director of the Congressional Budget Office. But, Penner quickly noted, "[Congress and the White House] didn't do much else. And they gave us a New Year's Eve present of another cliff in two months." 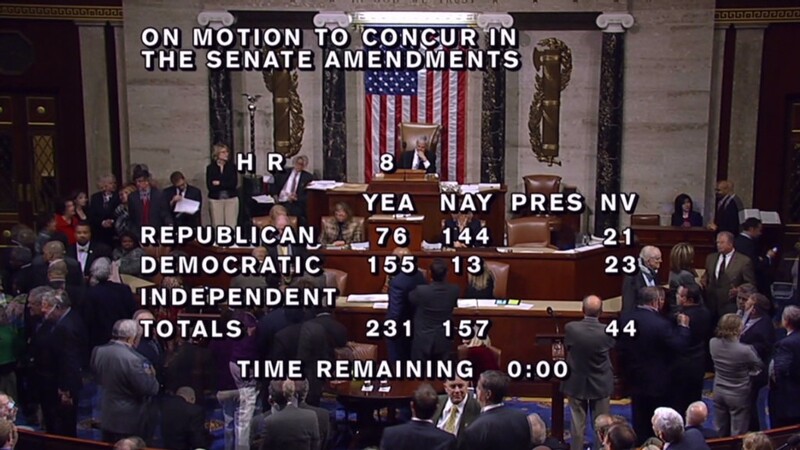 The bill does not address the country's debt ceiling, which needs to be raised by the end of February or early March. And that debate promises to be "trench warfare," as one analyst put it. Plus, the bill simply postpones for two months the need to replace the nearly $1 trillion in ill-conceived spending cuts known as the sequester. 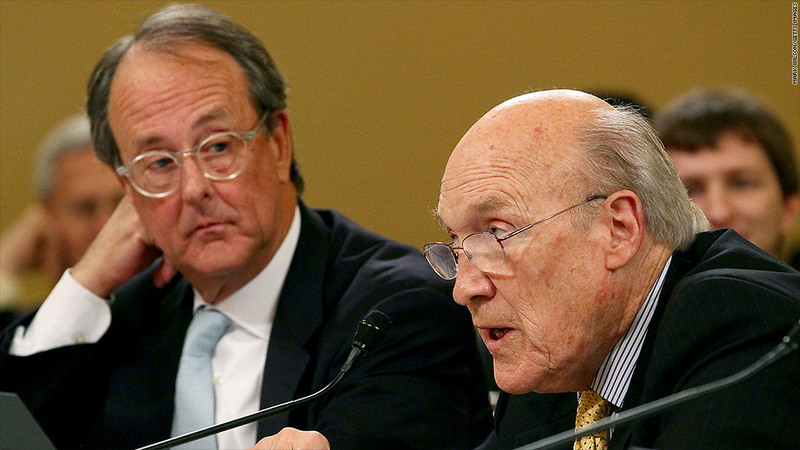 Calling it a "missed opportunity," the country's two best known deficit hawks -- Erskine Bowles and Alan Simpson, who co-chaired the president's bipartisan fiscal commission -- weren't overjoyed. Congress had 17 months to address the cliff, but it didn't start negotiating in earnest until about six weeks ago. "In fact, Washington politicians set it up to force themselves to seriously deal with our nation's long term fiscal problems. Yet even after taking the country to the brink of economic disaster, Washington still could not forge a common sense bipartisan consensus on a plan that stabilizes the debt," Bowles and Simpson said in a statement. The bill would reduce deficits by less than $750 billion over a decade but only if compared to a scenario in which all the Bush tax cuts were made permanent and other fiscal cliff measures were canceled. If measured against a scenario in which the fiscal cliff stayed in place permanently, it would add nearly $4 trillion to deficits. Either way, it doesn't establish a path in which the country's debt would stop growing faster than the economy, the Committee for a Responsible Federal Budget noted in its analysis of "the good, the bad and the ugly" in the compromise. Independent deficit hawks gave up hope awhile ago that lawmakers would work out a detailed "grand bargain" in the context of a fiscal cliff deal. But they continued to hope that a deal would include a framework for tax and entitlement reform that Congress could pursue in 2013. Even that didn't happen. And the White House and Congress have both acknowledged more work needs to be done. Until it is, "policy decisions will continue to be driven by short-term crisis management rather than responsible strategic planning," Robert Bixby, executive director of the Concord Coalition, wrote in a blog post. What's more, Bixby added, "uncertainty will continue to be a drag on the economy, public frustration with the political process will grow and the debt burden hanging over future generations will remain as our legacy."